Lee Slattery, who turned professional in 1998, is currently ranked 197th in the world. -16 L Slattery (Eng) R Cabrera-Bello (Spa); -15 P Lawrie (Sco); -14 T Pieters (Bel); -13 W Ormsby (Aus), M Madsen (Den), M Ilonen (Fin). Selected others: -8 M Kaymer (Ger); -7 P Harrington (Ire). England's Lee Slattery shot a seven-under-par 63 to share the lead after three rounds of the KLM Open. The 37-year-old from Southport heads the field along with Rafa Cabrera-Bello of Spain on 16 under. Slattery is aiming for back-to-back European Tour wins after claiming the Russian Open last week. Scotland's Paul Lawrie is one shot back in third after the 1998 Open champion matched Slattery and Cabrera-Bello in carding a 63. Thomas Pieters of Belgium and Finland's Mikko Ilonen both put themselves into contention with rounds of 62 in Zandvoort. 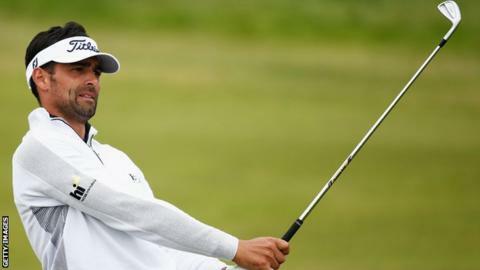 Overnight leader Soren Kjeldsen of Denmark slipped back to 11-under after shooting a one-over-par 71.